Contains a multitude of soil organisms that transform and maximize available nutrients, including beneficial bacteria, protozoa, nematodes, fungi and much more. Highest quality nutrition every time! Formats available 5L, 20L, Bulk. Soil organisms play an incredibly important role in soil structure. In a healthy soil ecosystem, soil organisms work together to transform and maximize available nutrients to be used as food for plants. Gro4 earthworm castings help sustain an active and balanced soil structure. 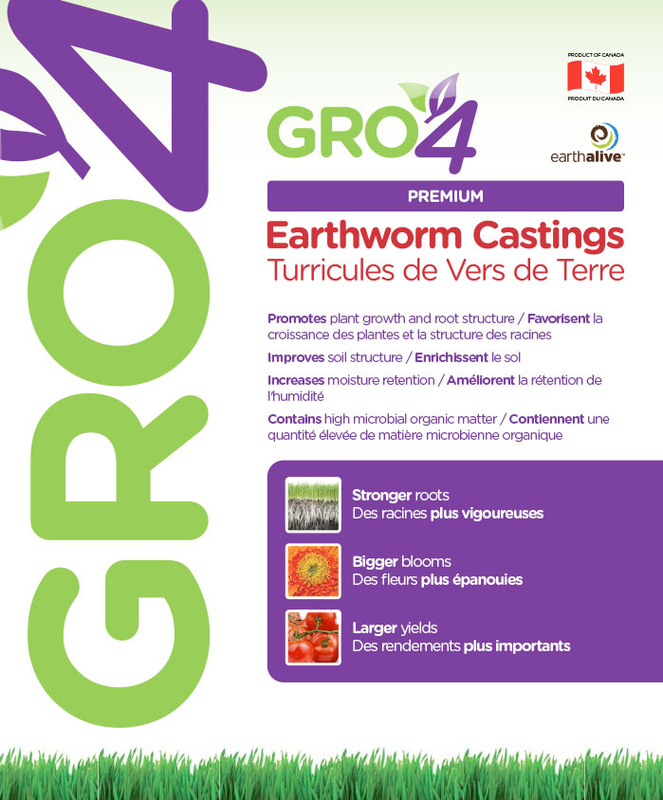 Gro4 Earthworm Castings are an approved input for organic agriculture. From strawberries to tomatoes to squash and everything in-between GRO4 will get you the results you want! Mix up to one part castings to three parts soil and fill containers. 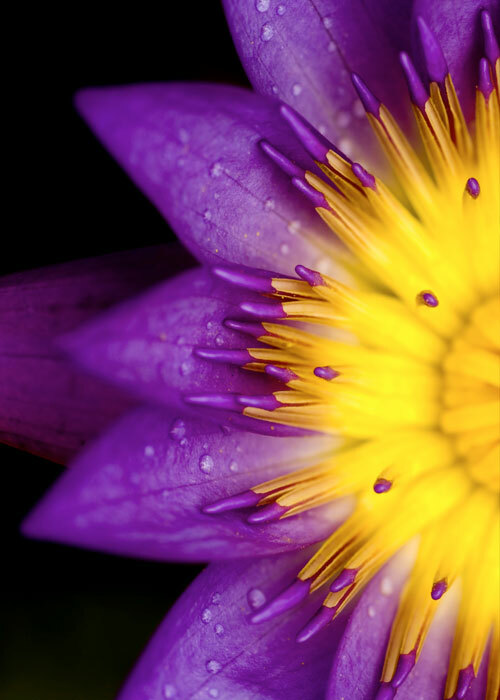 Apply 4 cups of castings in a circle around the base of each plant. Work in with a rake. Mix one part castings to three parts soil and apply to the bottom of the hole at transplanting. New Lawn: 250-500 Lbs per 500 sq. ft., 1-2 times per year. Establish Lawn: 100-150 Lbs per 500 sq. ft., 1-2 times per year.